- Tracking your Heart Rate: Tracking your heart rate whilst running allows you to gauge your progress so you can achieve your marathon goals. 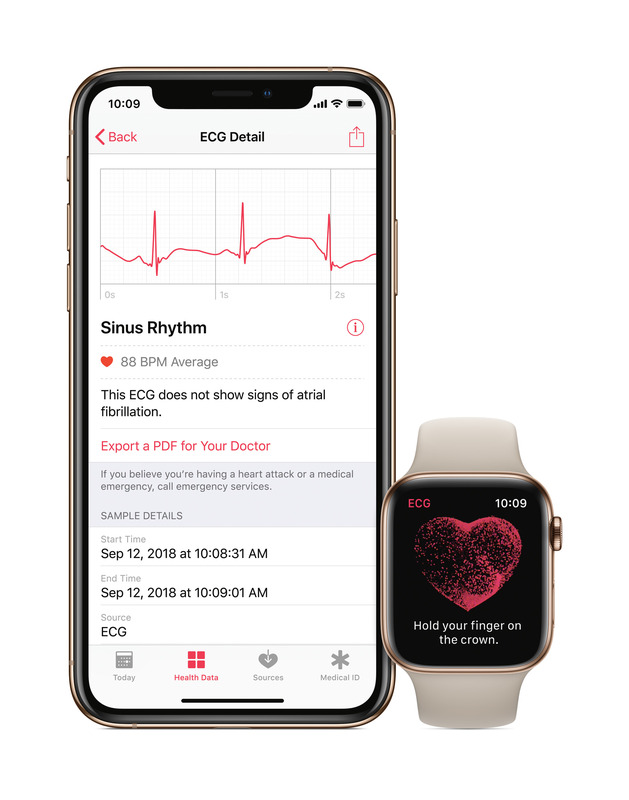 In watchOS 5, users get deeper insights into their heart rate. Whether you’re a beginner taking on the challenge or an athlete, you will be able to see your average and highest heart rate reading, and your recovery rates. A lower resting heart rate and a shorter recovery time can be an indication that your fitness levels are improving. 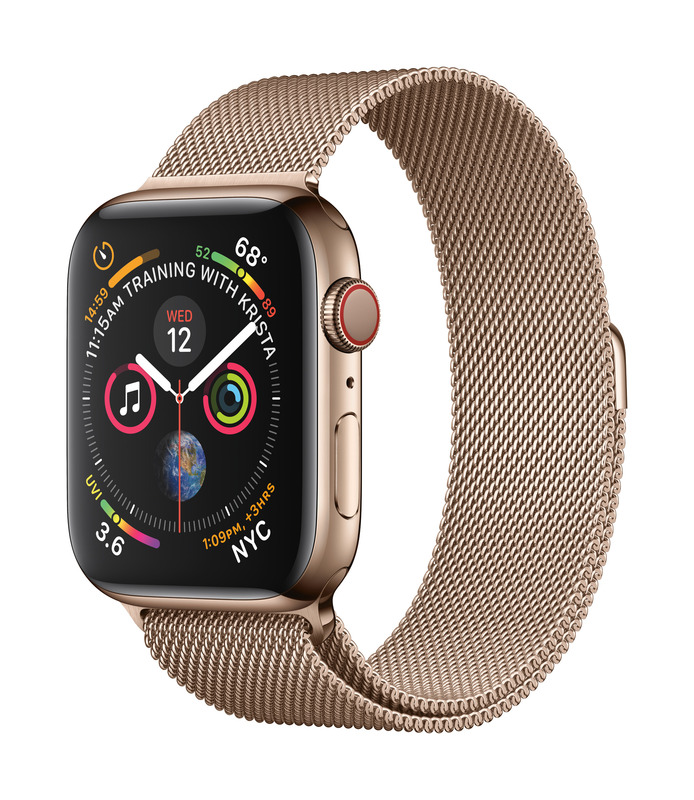 - Built-in GPS: While a regular watch can tell the time, the Apple Watch with it’s built-in GPS can record the distance, speed, and the route of your workouts. With running, as with so many sports, success lies in the details. Having a GPS integrated in the watch can push your training further and help you reach your running goals. 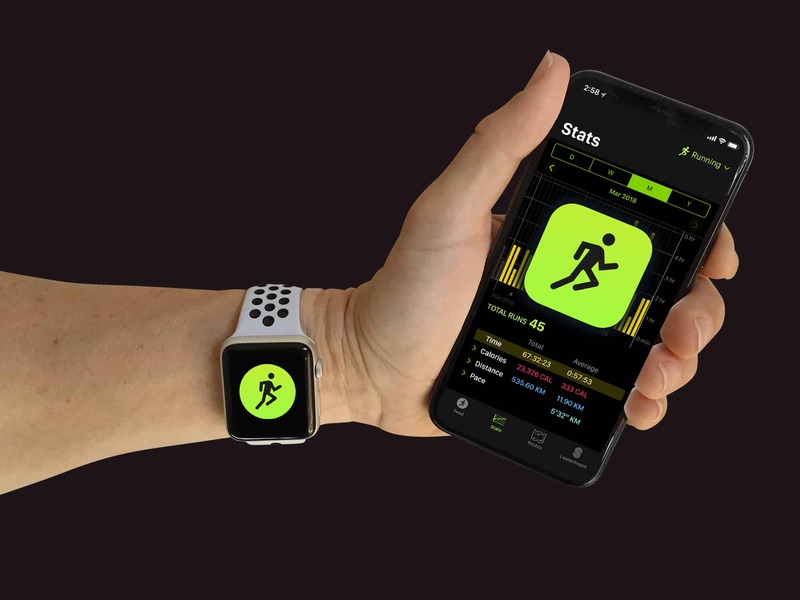 - Apple Watch Work Out App: The Work Out app on Apple Watch will help you track your runs as well as a wide variety of the workouts. By using custom motion and heart rate algorithms, it can accurately measure active and total calorie burn. It will also automatically detect when you’ve started a work out so you never miss out on getting credit. 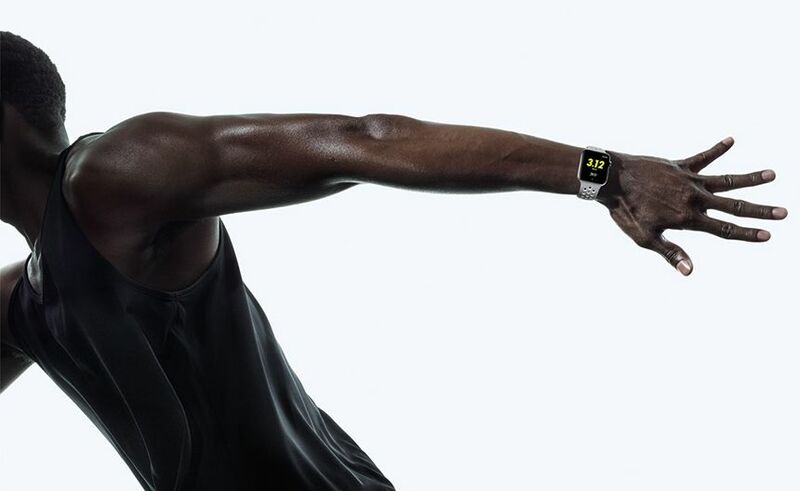 - Nike+ Run Club app: Runners out there, the latest version of Nike+ Run Club app now includes audio-guided runs featuring the voices of Nike+ Run Club Global Head Coach Chris Bennett, Olympic gold medalist Mo Farah, or comedian Kevin Hart. You can choose and train to your favorite playlists. - Motivation: With Apple Watch Series 4 the Activity app gives you personal and intelligent progress updates to help you stay motivated. If you’ve side tracked during your marathon training, your Apple Watch will nudge you to get you back in the game. When you set a personal record of miles run, it will celebrate your achievements with festive full screen effects and awards. 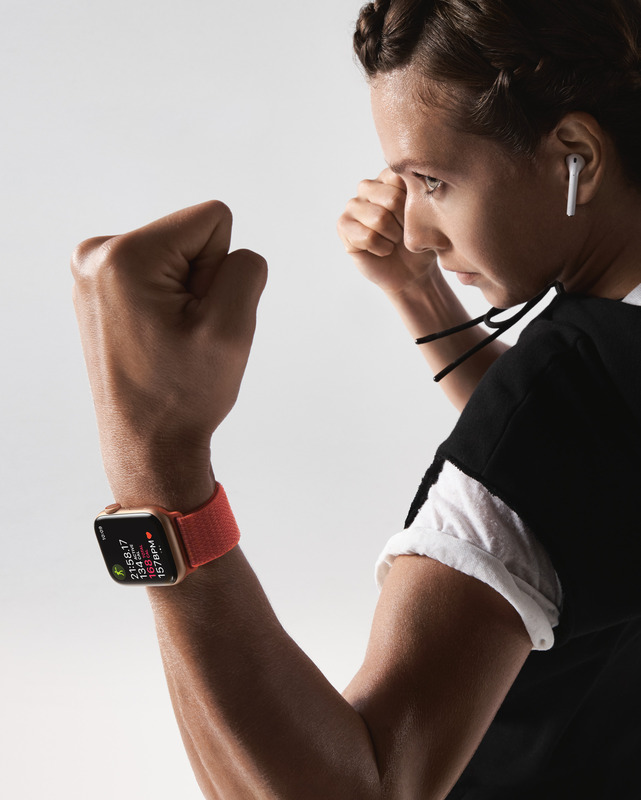 - Music to my ears: If you’re about to run for hours on end, you’ll need to be synced to the music you love and you can do that straight from your Apple Watch. Your favorite curated playlists including My New Music, My Favorites, and Heavy Rotation, will intelligently sync right on your watch. With more songs on your wrist, the effortless combination of Apple Watch and AirPods makes listening to music even more enjoyable. 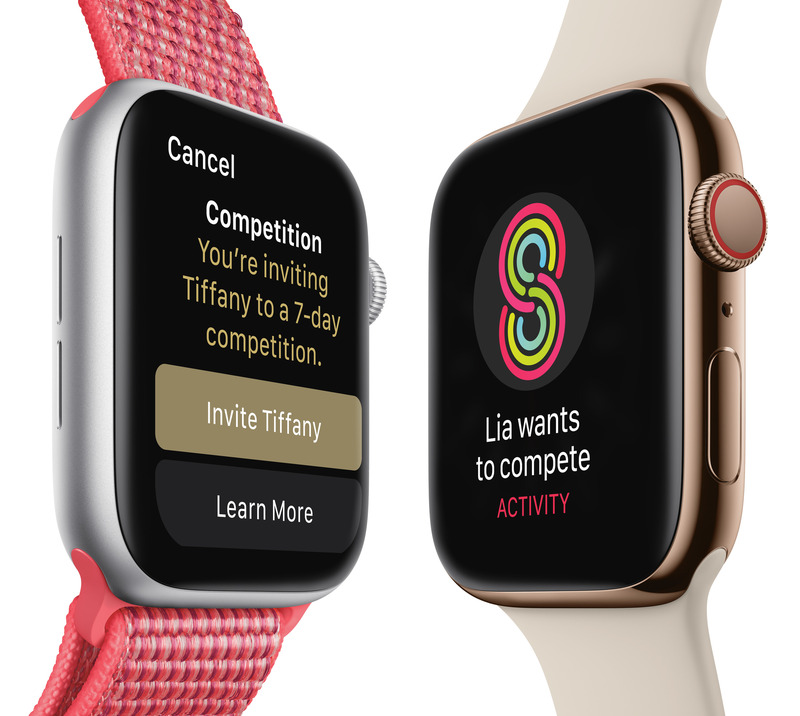 - Safety features: A feature we hope you never use, but just in case you have an emergency or fall during your run, the Apple Watch will automatically detect this and send a text and your exact location to your emergency contacts.